This project, which has been supported by Antenna since 2013, aims to make chlorine readily available and affordable for inhabitants in the towns of Islamabad and Rawalpindi. 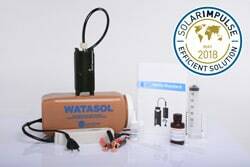 The main objective is to raise awareness among the population about the benefits of chlorine in treating water at the household level as well as producing and selling flasks of stabilised chlorine for shops and pharmacies. 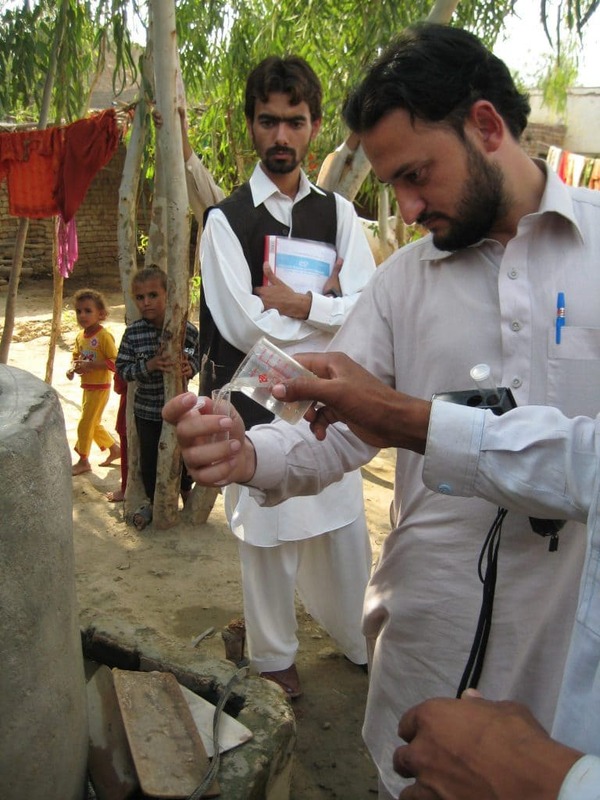 Options for disinfecting water in Pakistan are limited for several reasons: there is a serious energy crisis (boiling water is therefore impractical and costly), chlorine tablets are too expensive for the population and granules or powder for industrial use are not available on the market and are not suitable for water treatment in households. There is therefore a need and demand for a cheaper solution for treating water with chlorine. Creating awareness, however, is still challenging. In 2013, the project established a centralised production facility of 600 litres of stabilised chlorine per day. The chlorine is produced in two forms: a) 50 ml bottles with a dropper, sold in shops and pharmacies; and b) 2.5 litre containers, sold in restaurants and grocery stores. Marketing it requires regular social and commercial activities to raise awareness about the product at public water-collection points and in kiosks, clinics, hospitals and schools. The chlorine bottles also feature in advertisements and information brochures. Pakistan has the world’s 25th highest infant mortality rate, with a rate of 60 deaths per 1000 births. Water-borne diseases are the biggest cause of infant mortality and are responsible for almost 60% of all child deaths. Water from the general supply system is not safe to drink, even in the capital, Islamabad. In response to the catastrophic floods that blighted Pakistan in 2010, the SDC decided that local production of chlorine using the WATA system provided a simple, suitable and cost-effective solution to disinfecting water and thereby preventing epidemics linked to unclean water. Its Swiss Humanitarian Aid Unit therefore took immediate action to intensify assistance for flood victims by installing 70 WATA kits in several regions. The kits were set up in cooperation with a local NGO and the Pakistani authorities. They were used to disinfect wells, boreholes, manual water pumps, water tanks and other types of storage facilities set up in refugee camps.